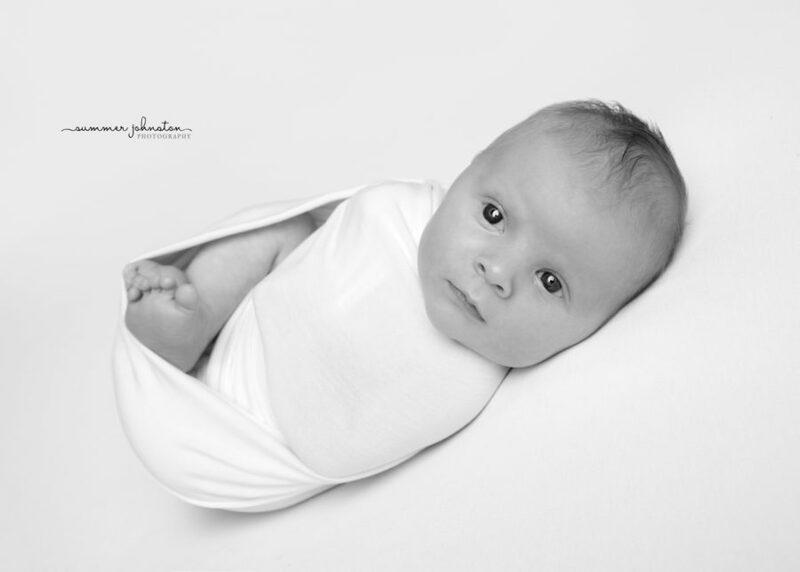 I have been photographing newborn babies for Lancashire mums and dads for a number of years now, and over time, I have noticed that my favourite images are the pure and simple set-ups where the focus is all on your beautiful baby. Keeping the set-up clean, crisp and simple means that your eye is not distracted by anything else and all you see are beautiful, timeless images of your newborn baby in all their glorious perfection. Photos like these I produced for Ronnie’s mum are what I am referring to. 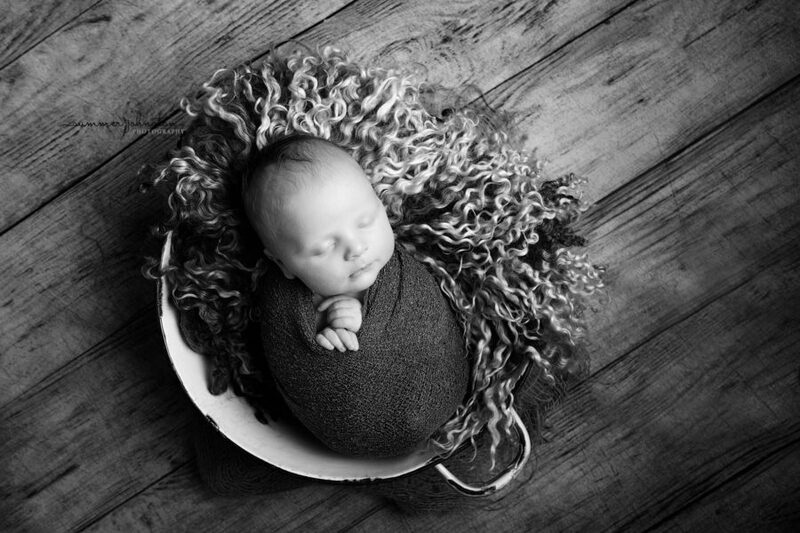 Ronnie was just a few weeks old when he came for his newborn shoot. He was wide awake to begin with, which is fabulous because it means I can make the most of these gorgeous wide awake shots for mum and dad. I find that parents usually choose the wide awake images at their ordering session without fail. So long as baby is well fed and content then they are usually more than happy to be wrapped up for some beautiful shots like this. 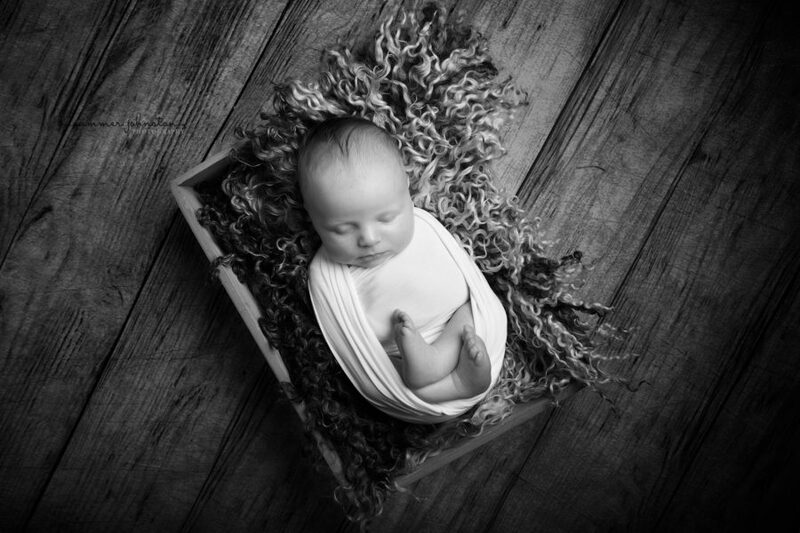 If you think your baby needs to be sleepy for a newborn session, then you may be mistaken. 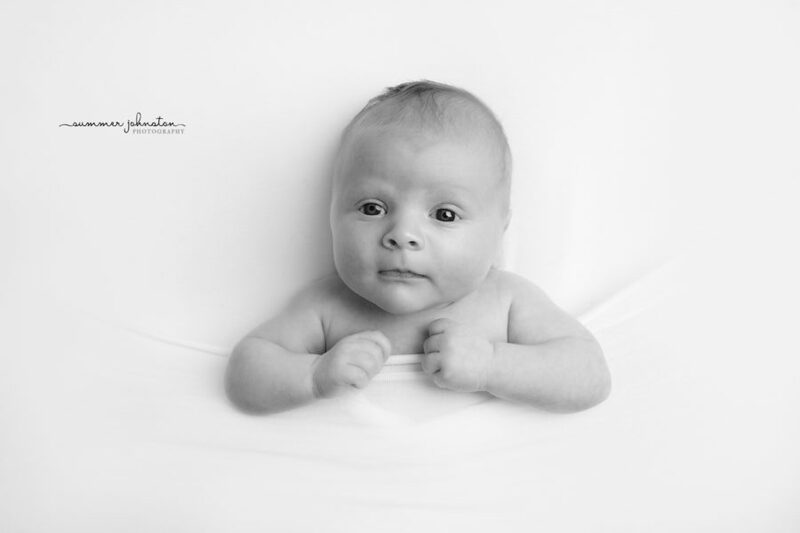 Babies that are wide awake can be photographed too! 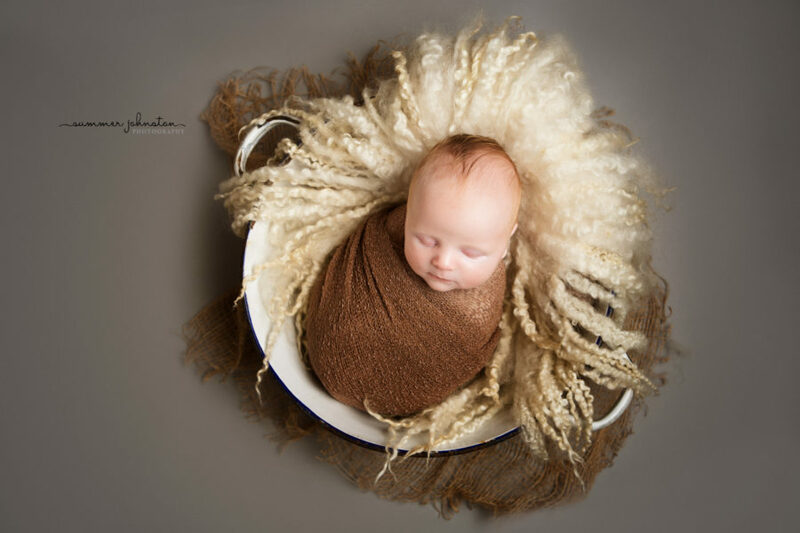 Choosing newborn set-ups that complement each other means that when you come to your ordering session, you will be able to choose images that can be displayed together beautifully. 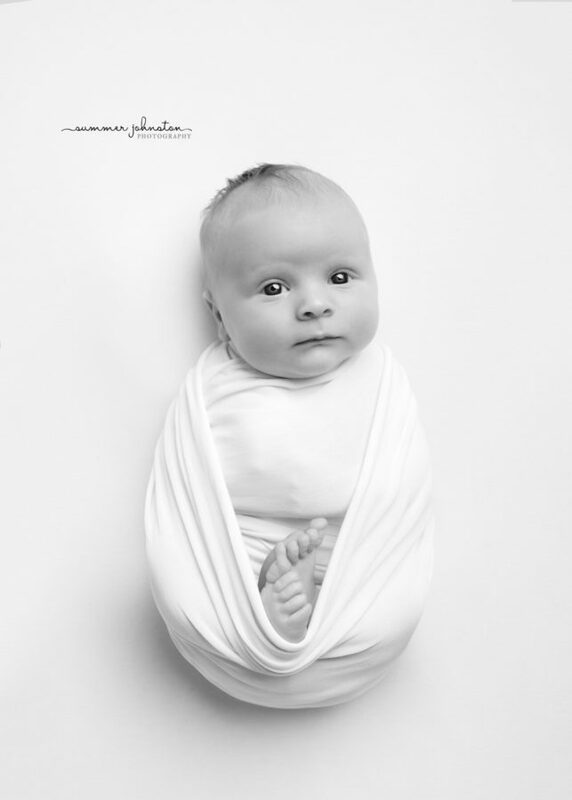 This minimalist newborn style works fabulously with lots of different set-ups like these below. 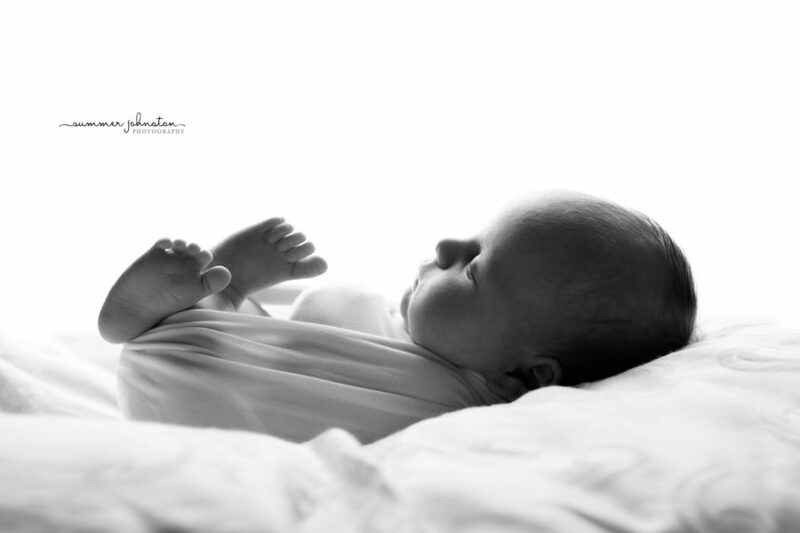 What I do find is that during a newborn session, babies naturally fall asleep whilst I am working, so we also get amazing sleepy shots too. 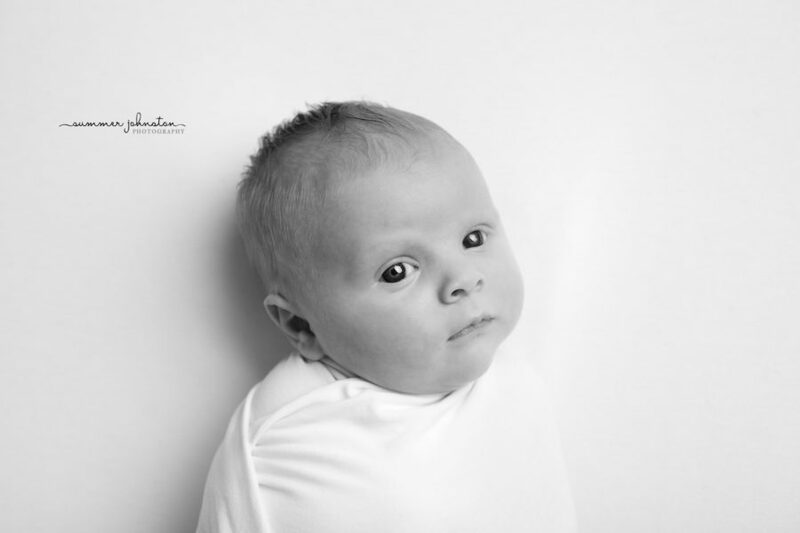 When your baby is sitting confidently, we can create similar styled images using complementary colours to add to your current wall displays with a sitter photography session.